You’re reading novel The Demonic King Chases His Wife: The Rebellious Good-for-Nothing Miss Chapter 2 online at LightNovelFree.com. Please use the follow button to get notification about the latest chapter next time when you visit LightNovelFree.com. Use F11 button to read novel in full-screen(PC only). Drop by anytime you want to read free – fast – latest novel. It’s great if you could leave a comment, share your opinion about the new chapters, new novel with others on the internet. We’ll do our best to bring you the finest, latest novel everyday. Enjoy! I took a closer look at this web novel. 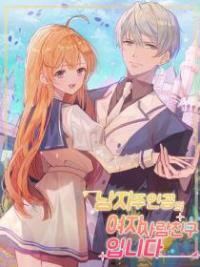 While it is a romance web novel, I don’t think it’s a light hearted comedy. *Sniff* Oh well, I’m going to continue translating until it gets too angsty for me. Also, I think the translation I have for the t.i.tle is terrible but alas, my creative juices have depleted. Thank G.o.d I put it as DKC. Please note that the images are just example images I linked for people who may not know what a term means. Su Luo felt a needle-like pain throughout her entire body, as if she had been run over by a heavy truck. It was so painful that her heart had almost stopped beating. In a daze, she slowly opened her heavy eyelids. Seeing the dirty above her head and a shabby quilt, she momentarily could not react. “Su Luo you cheap s.l.u.t, why aren’t you dead yet? Why did you even bother to wake up! Die die die!” A sharp, ear-piercing voice furiously shouted near Su Luo’s bed. Su Luo realized that she was strengthless from head to toe. She weakly turned towards the direction of the voice. There was a beautiful girl who looked to be around fourteen or fifteen years of age dressed in . Inserted in her hair that was rolled up in a bun was a precious b.u.t.terfly hairpin and a jade hairpin. Her small face was slightly round and she had very delicate facial features. The little girl was very beautiful, yet she was very malicious in her actions. At the moment, she was holding a needle that was usually used to sew the soles of a shoe. The needle was thick and glinted in the cold light. With a sinister look in her eyes, she ruthlessly stabbed at Su Luo’s body. She stabbed at the flesh hidden underneath the clothes so unless someone tore them open, outsiders would never be able to see them. So painful! This is simply torture! Su Luo wanted to say something, but discovered that her mouth had been gagged by a rag. She wanted to resist, but found out that she didn’t even have the strength to lift a single finger. Subsequently, this Third Miss did what she was told and forcefully swung the palm of her hand to slap Su Luo’s face. Su Luo’s eyes gleamed with a frosty light: This maltreatment, these slaps; I, Su Luo, will remember all of them! Su Luo could no longer take the continuous a.s.sault and finally sank into the darkness. “Miss…. Uuu…. Miss, you must not die…..” The sound of the young female’s mournful weeping was miserable and it seemed that her throat had become hoa.r.s.e due to her weeping. Awakened by the sound of weeping and feeling that someone was forcefully shaking her, Su Luo faintly woke up. “M-Miss?” Lu Luo who was sadly weeping raised her gaze and met Su Luo’s line of sight. Accompanied by the eye contact, her face immediately turned to that of pleasant surprise. At this time, Su Luo also clearly saw the little girl before her eyes. She was approximately fourteen or fifteen years of age with facial features that could be considered to be graceful, but at the moment, her face was covered with red and swollen fingerprints. Both eyes swelled like a peach and she appeared to be in a tight spot. Her vision s.h.i.+fted to the interior of the room. She discovered that the table was missing a leg, the chair was worn-out, and there wasn’t even a cup to drink water from the teapot. It seemed as if the entire room was a house in the slums of Africa. Suddenly, Su Luo mind ached as memories flooded in like the surging of the tide. Looks like she really did cross over. This place was not a dynasty that she was familiar with, for was the Blue Sky Continent that never appeared in China’s history and was a world that respected those with martial might. The continent consisted of four countries. They were individually named Eastern Ling, Western Jin, Southern Feng, and Northern Mo. Together, the four countries drew a circle and in between them, was the legendary Dark Forest that was rampant with magic beasts. Unless one was a martial artist, entering was simply unthinkable. 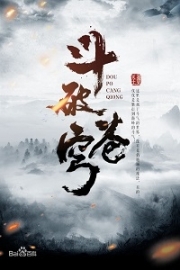 As of now, Su Luo was in the Manor of the Eastern Ling Empire’s Great General. Her father was Su Zian, the Great General who protected the empire and she, was the publically known strawbag fool of an idiot, the good-for-nothing Fourth Miss. In the Blue Sky Continent, every child had to take an innate talent test at the age of five and this exam was so important that it was enough to determine a person’s entire life. Before this exam, Su Luo was the pride of the Su Family because at during her birth, even the heavens intervened with worldly phenomenons; a multicolored sky paved the roads in rainbow as a divine bird circled around the entire imperial capital. At that time, everyone believed that Su Family’s Fourth Miss would become someone of importance. But on the day of the apt.i.tude test five years later, this Su Family’s Fourth Miss who most had the greatest of expectations for, unexpectedly appeared to be n.o.body. Her innate talent was at a good-for-nothing zero and it was fundamentally impossible for her to practice martial arts! 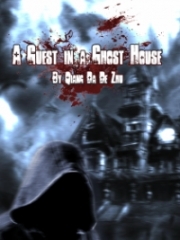 As a result of the expectations being too high with the disparity too wide, Su Zian threw Su Luo into the side courtyard under a fit of rage, leaving Su Luo to decide her own life and death. Su Luo’s mother had also been abandoned and finally perished from depression. You're reading novel The Demonic King Chases His Wife: The Rebellious Good-for-Nothing Miss Chapter 2 online at LightNovelFree.com. You can use the follow function to bookmark your favorite novel ( Only for registered users ). If you find any errors ( broken links, can't load photos, etc.. ), Please let us know so we can fix it as soon as possible. And when you start a conversation or debate about a certain topic with other people, please do not offend them just because you don't like their opinions. You're reading The Demonic King Chases His Wife: The Rebellious Good-for-Nothing Miss Chapter 2. This novel has been translated by Updating. 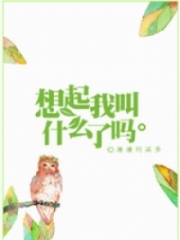 Author: Su Xiao Nuan,苏小暖 already has 25172 views. Current Time is Apr-22-2019 12:29:22 PM.